This time, the buyer has an assembled PC and he wants to connect to an extra HDMI monitor. His display card has DisplayPort, HDMI and DVI output. The HDMI has been used. So, he us our adapter cable to make the connection between DisplayPort and HDMI monitor. 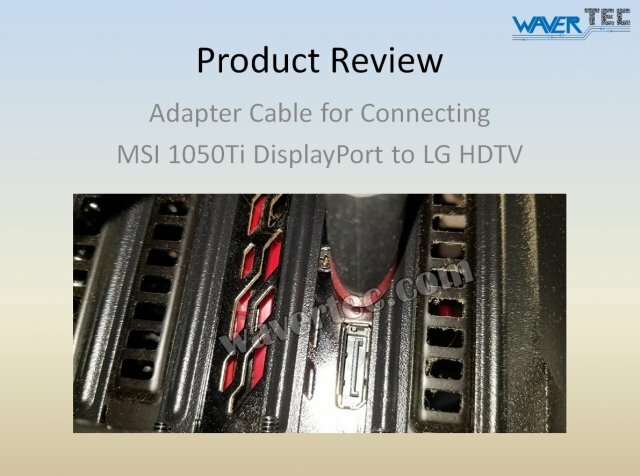 A very nice cable for easily connecting a PC to another monitor or TV. When only one type of output which is HDMI is present. And the display card has DisplayPort and HMDI ports. Didn’t have any issues duplicating my screen to my TV. Sound over display port is nice also. I’m happy with it.